Shellfish contaminated with a bug that can cause vomiting, fever and potentially deadly liver failure in the most serious cases have been found on sale in Scottish supermarkets for the first time. Blue mussels and an oyster harvested from Scottish waters tested positive for the hepatitis E virus. They had been purchased from four supermarkets in the Glasgow area and a fishmonger on the east coast. It comes in the wake of a surge in the number of people struck down with the virus, with the number of laboratory-diagnosed cases in Scotland climbing from 13 in 2011 to 206 in 2016. The latest results follow an analysis of 310 shellfish samples collected by researchers at Glasgow Caledonian University (GCU). They found traces of Hepatitis E in eight blue mussels and one oyster. It is the first time it has been found in commercially sold shellfish harvested from Scottish waters. Cases of the virus have been previously linked to contaminated food products, such as pork meat and soft fruit, in Europe. It is rarely transmitted person-to-person but can be passed on through blood transfusions. Professor Linda Scobie, the principal investigator of the GCU study, said: "We don't know at what point in the food processing chain this contamination occurred. "There are significant gaps in our knowledge with Hepatitis E in the UK, we don't know how much virus is required to cause infection, unlike the norovirus where you only need a few particles to cause acute illness. "What we do know is more people are being diagnosed and if they have particular medical conditions then they are at risk of becoming very ill."
The researchers are calling for further UK studies into foodborne transmission of the infection in the wake of their findings. A spokesman for Food Standards Scotland said it was not clear from the study whether the seafood which tested positive for Hepatitis E would actually have caused illness if consumed. He said: "Food Standards Scotland is working with other public health bodies to understand the causes of Hepatitis E infection and develop plans for reducing the number of human cases. "This study by Glasgow Caledonian University found material originating from Hepatitis E in a small number of shellfish samples and helps to understand the potential sources of the virus. "However, the method used in the study is unable to say if the infectious virus is present, and it's not possible to determine if the results are a food safety risk." 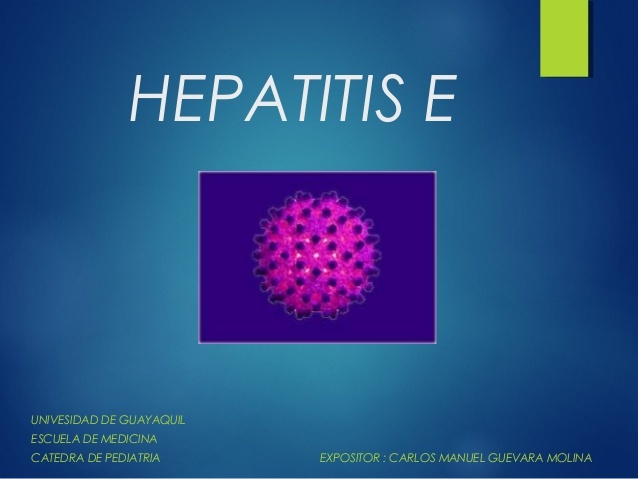 Hepatitis E is generally a mild disease but can manifest as flu-like symptoms, jaundice, tiredness, fever, and vomiting. In serious cases it can lead to liver failure and, among pregnant women, there is a risk of the virus causing severe illness which can - in rare cases - be fatal. This is more likely to occur with the strains that are found in Asia and Africa and is not common to the strains generally found in the UK. A study in Lothian between 2012 and 2014 found that Hepatitis E was the leading cause of acute viral hepatitis in the region, ahead of the better known A, B and C subtypes. Of the 48 confirmed cases during that period,70 percent had eaten pork or game meat in the few months before infection, and one in three had a recent history of foreign travel. The authors of the new GCU study, which is published today in the journal Food and Environmental Virology, said: "The present study is the first to demonstrate the occurrence of HEV in commercially harvested Scottish mussels sold at retail, albeit at low levels, 2.9 percent. "Unlike oysters, which are traditionally eaten raw, mussels are less likely to pose a risk of HEV infection to consumers, as they are normally cooked prior consumption. "Nevertheless, caution should be taken when consuming shellfish, particularly by those deemed to be at higher risk of HEV infection."